The DSWA has a good selection of publications for sale online. 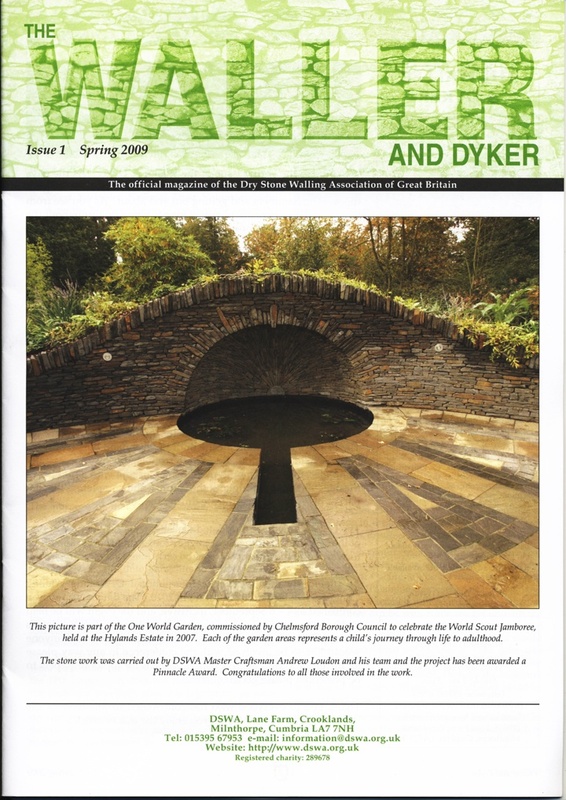 DSWA members receive 'The Waller and Dyker' magazine three times a year. The cover photo on this issue shows the level of sophistication which can be achieved by a Master Craftsman. Hats off to Andrew Loudon! Would you like to commission something similar? 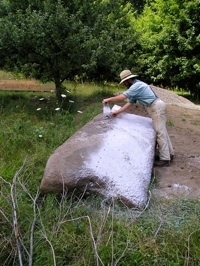 You could hire Andrew, of course, but if you're in New England, New York or anywhere in the New World, you could have Thistle Stone Works build it for you. Click the magazine image to the right to see a larger version in a new window. The photos in this series document the process of splitting a large stone. This retaining wall was	built improperly causing the alignment problems visible in these photos. 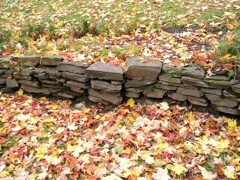 Learn how to avoid these problems with your own retaining walls.